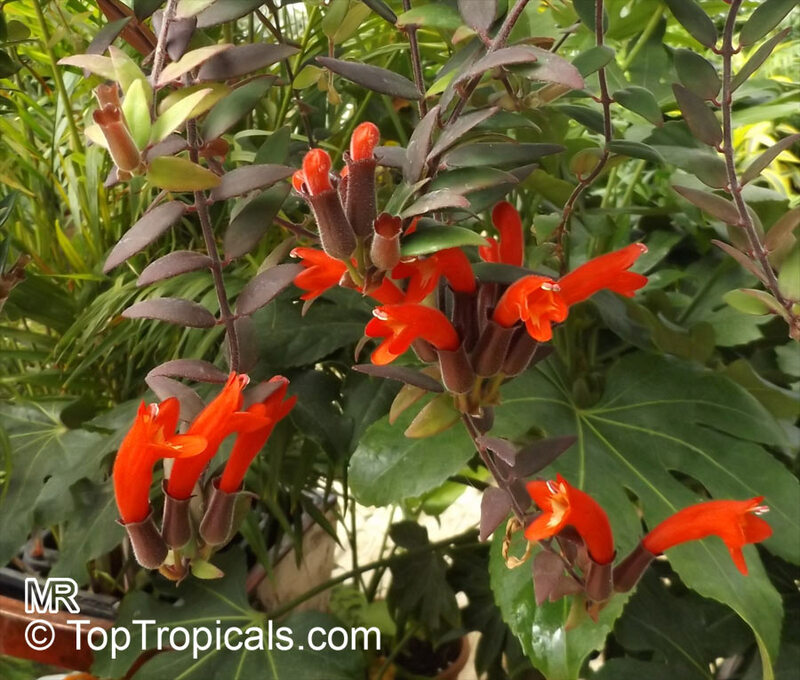 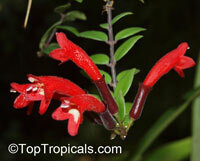 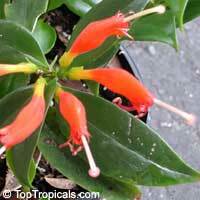 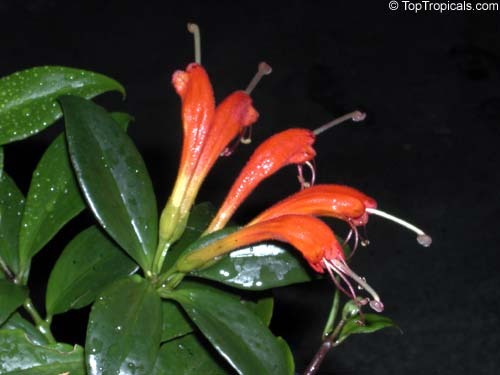 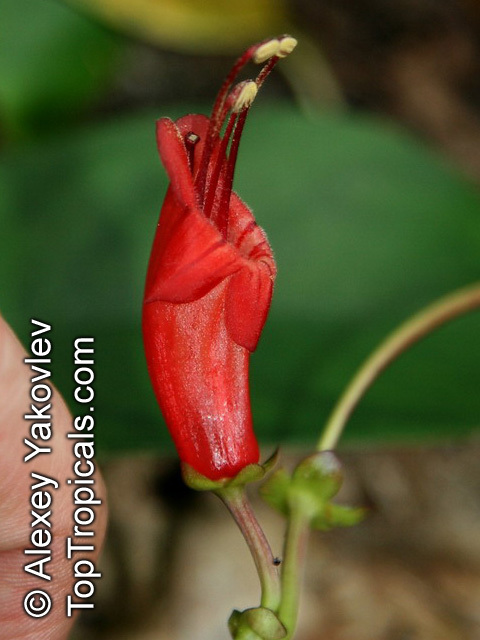 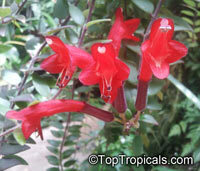 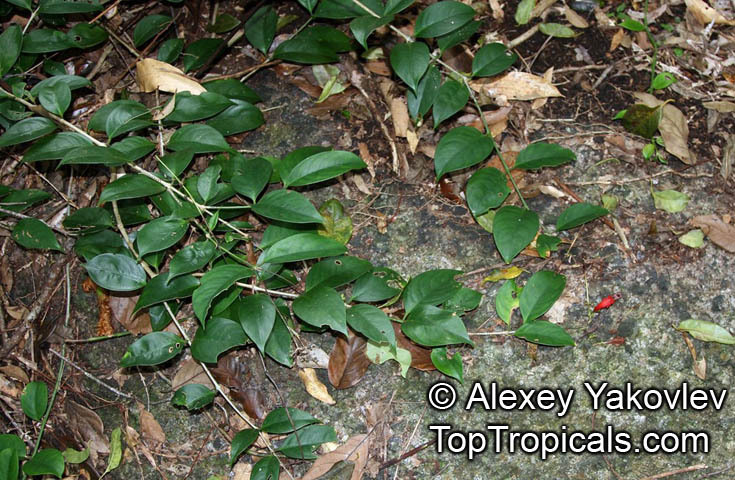 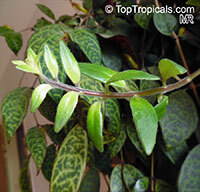 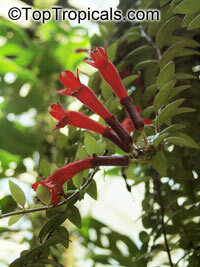 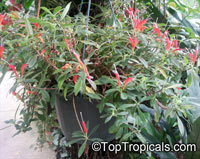 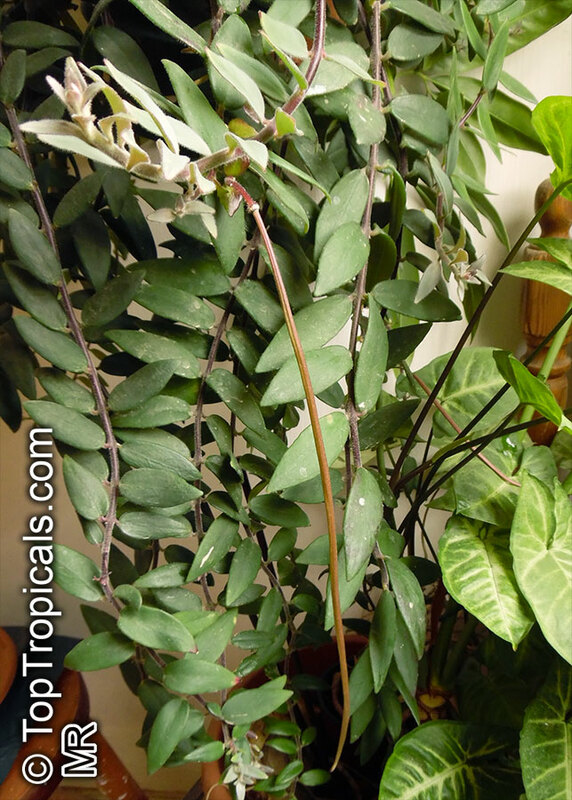 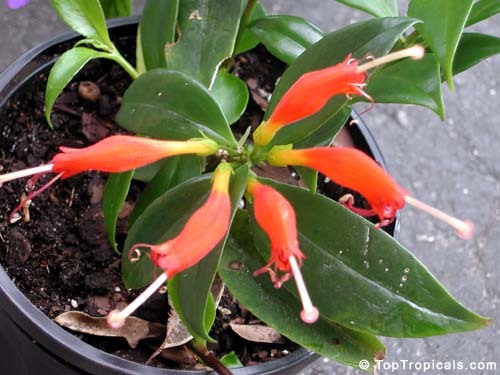 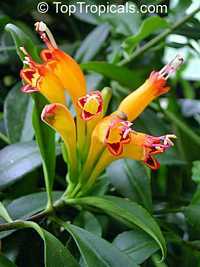 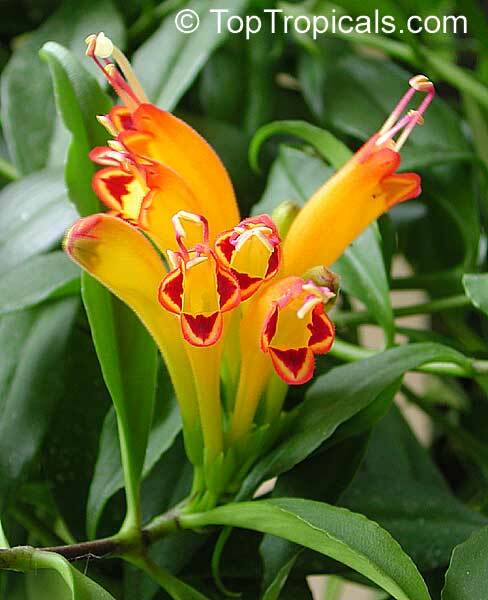 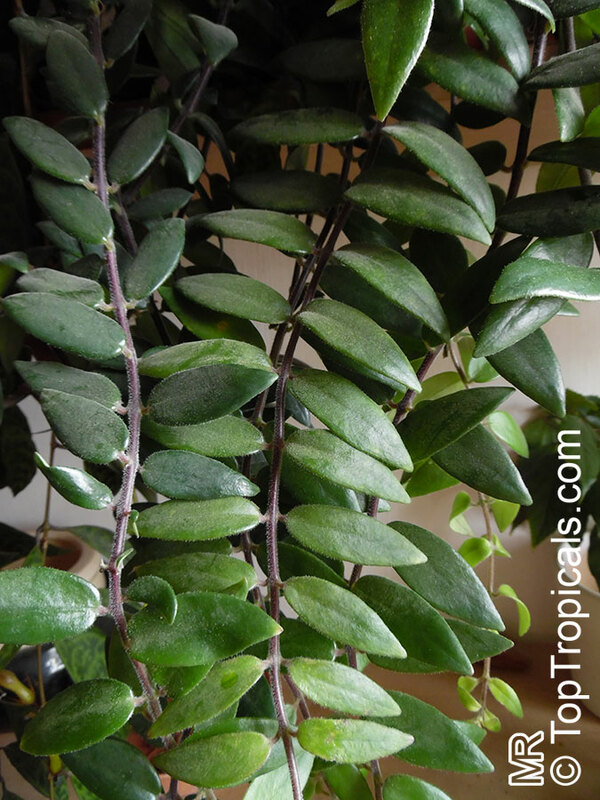 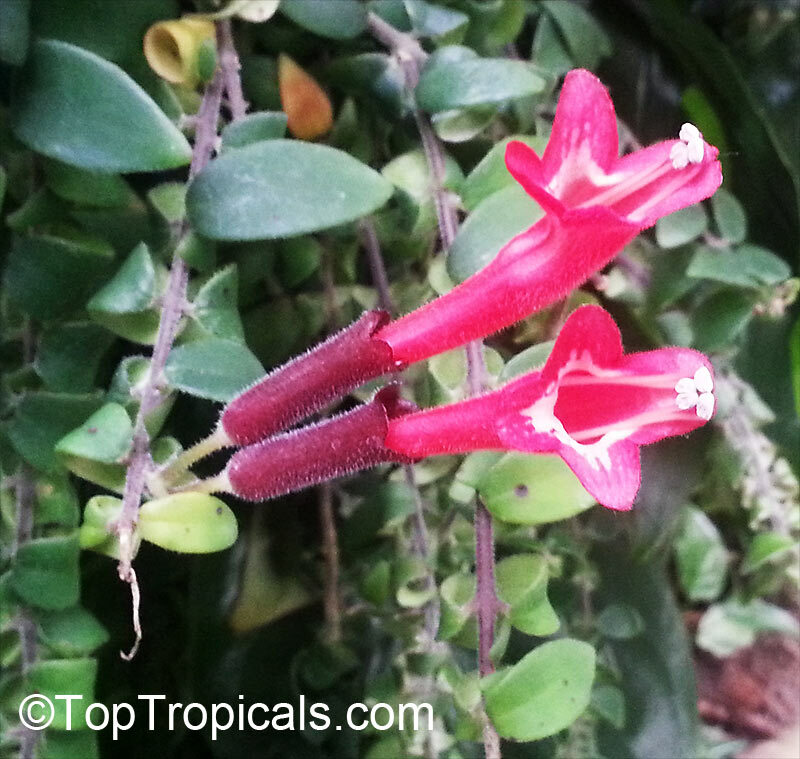 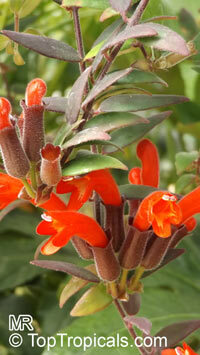 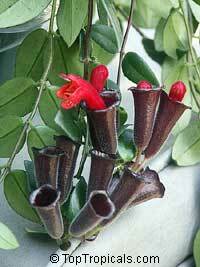 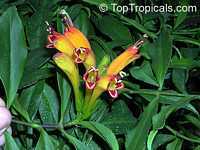 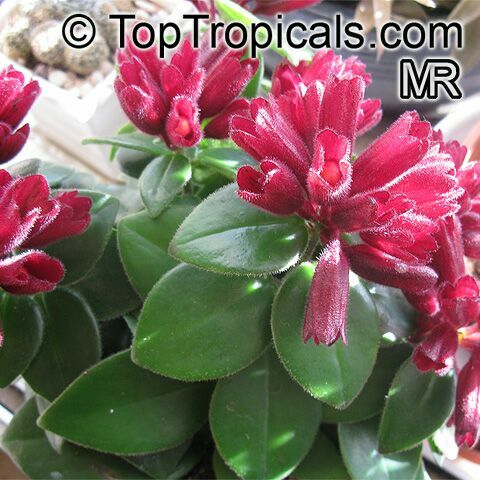 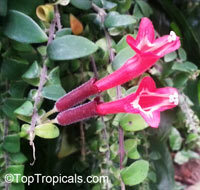 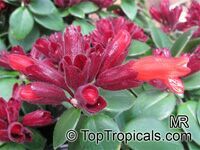 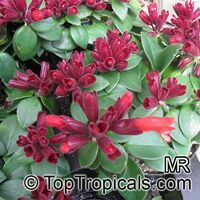 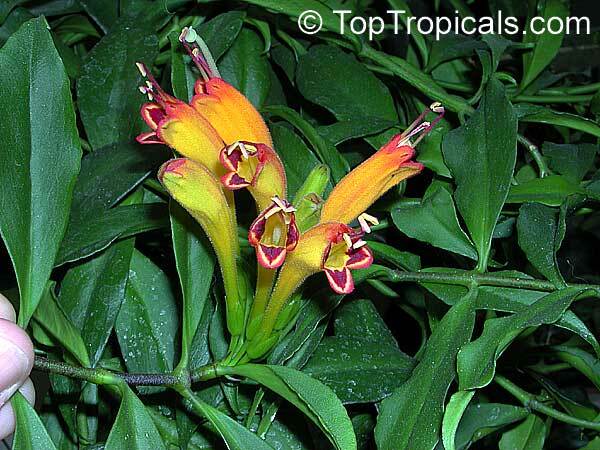 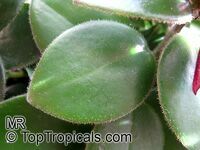 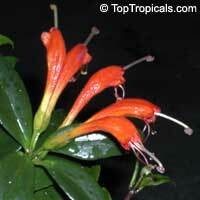 Aeschynanthus is a large genus of Old World tropical herbs. 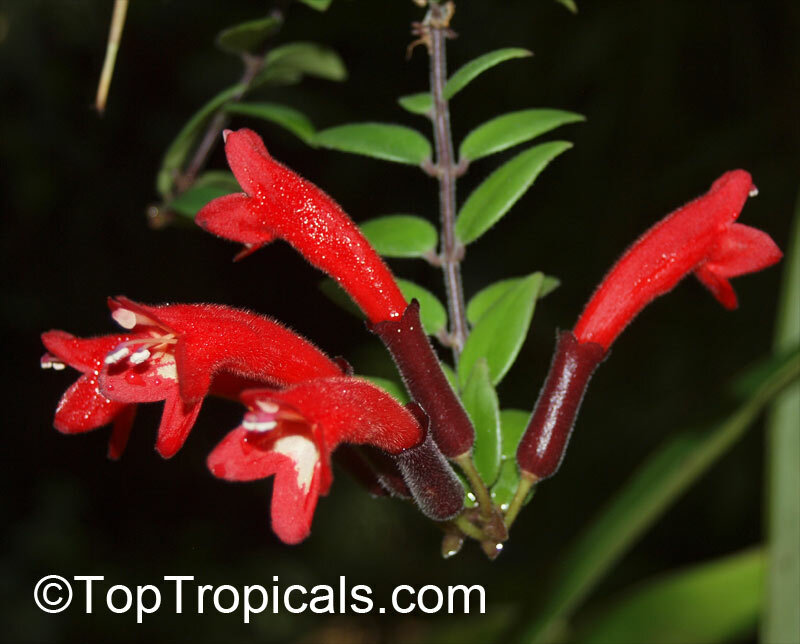 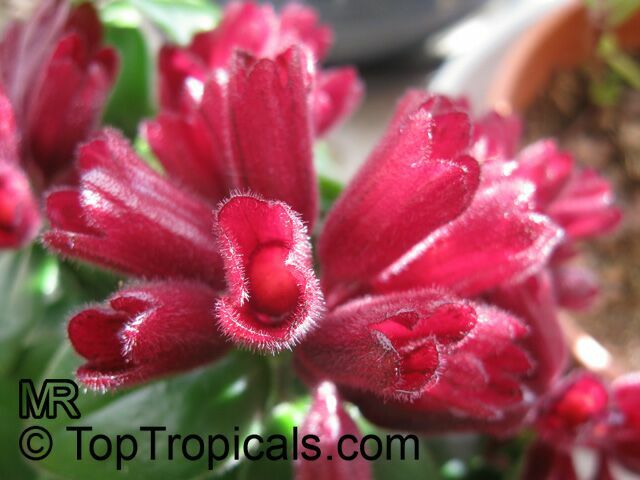 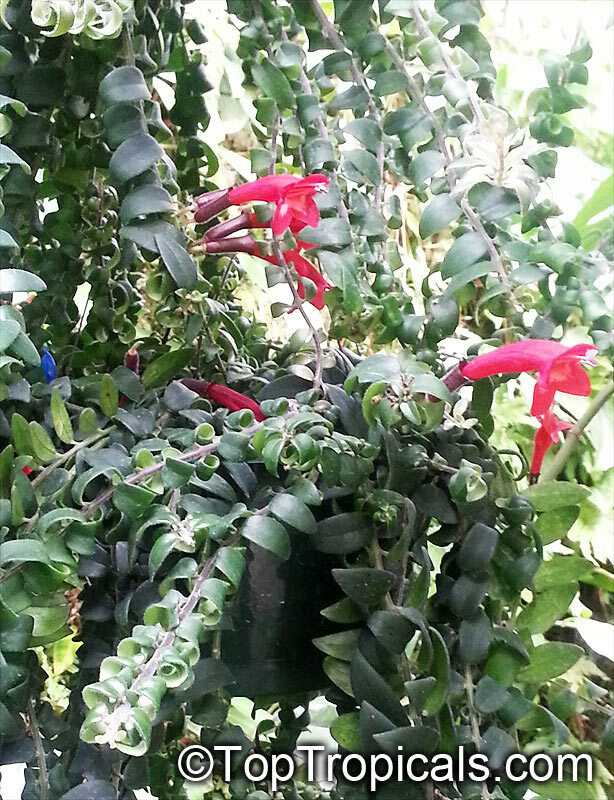 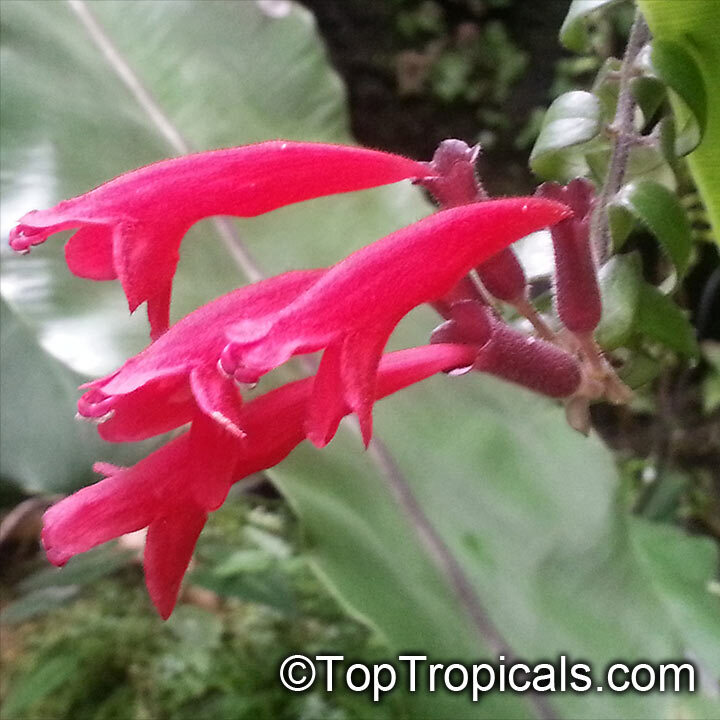 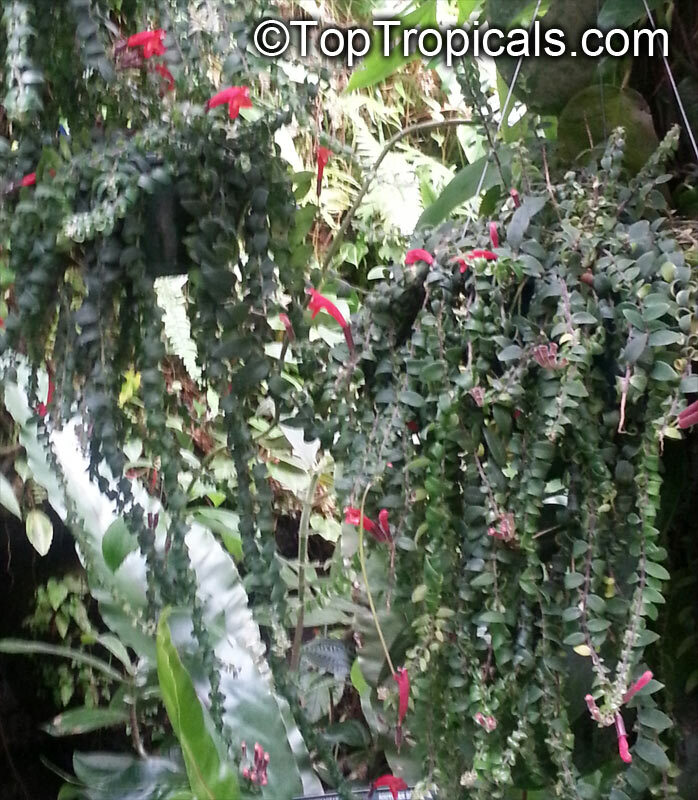 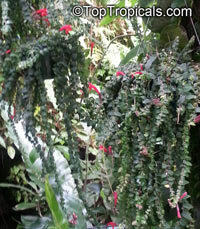 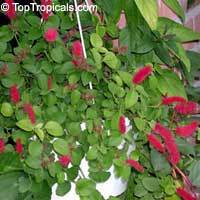 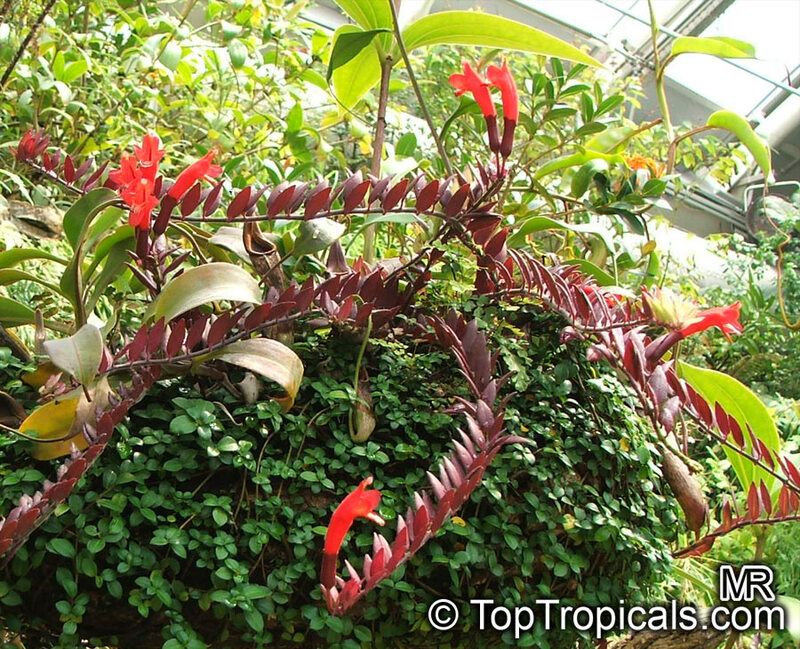 In many respects, they are analogous to the genus Columnea in Central and South America -- both are most often trailing epiphytes with fairly large and showy flowers that are frequently pollinated by birds. 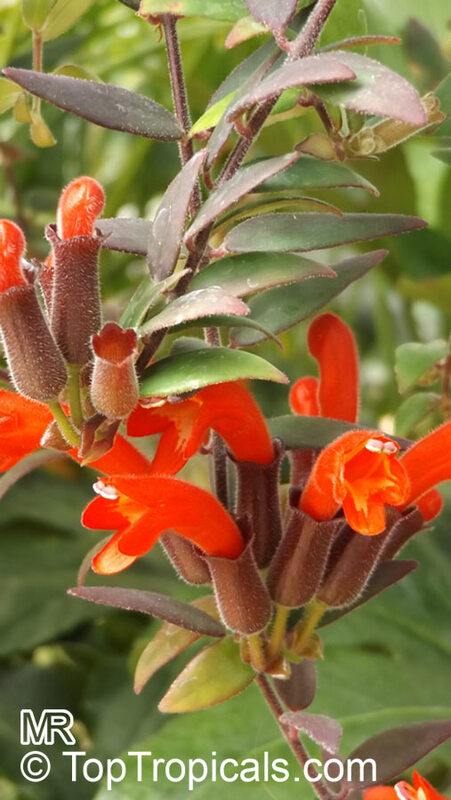 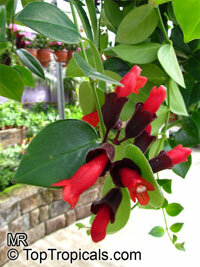 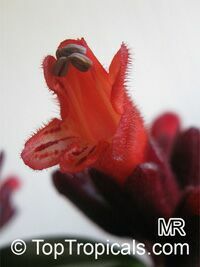 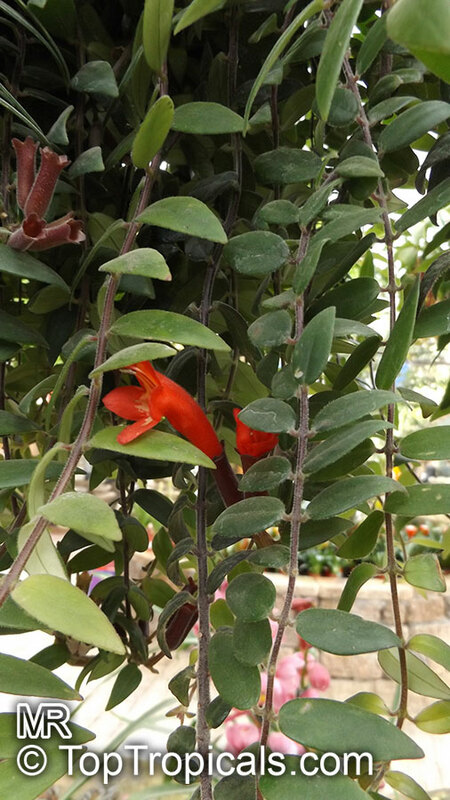 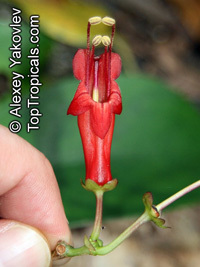 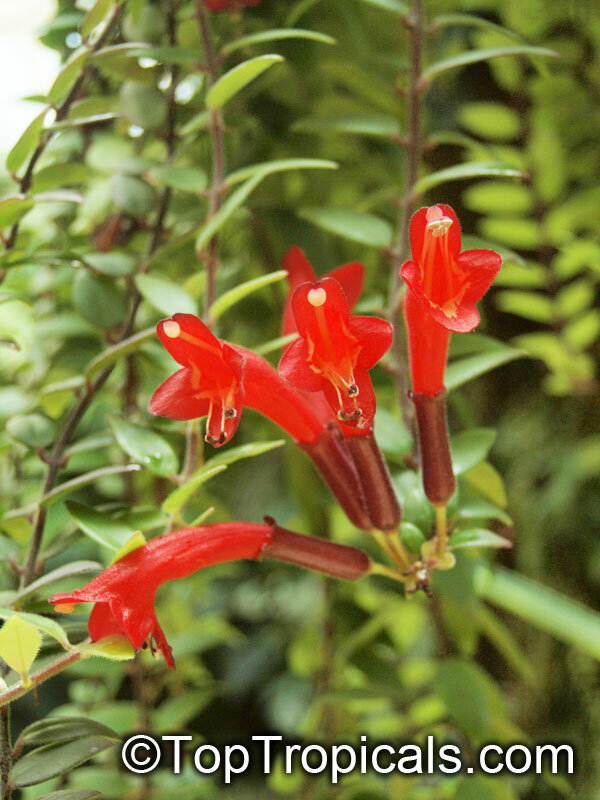 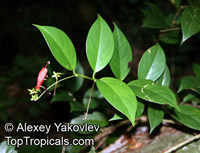 The appearance of the various Aeschynanthus species varies widely. 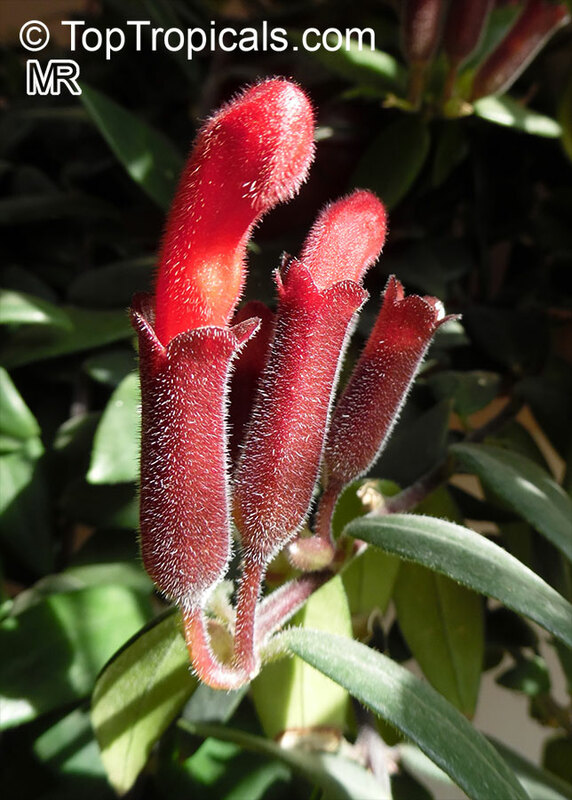 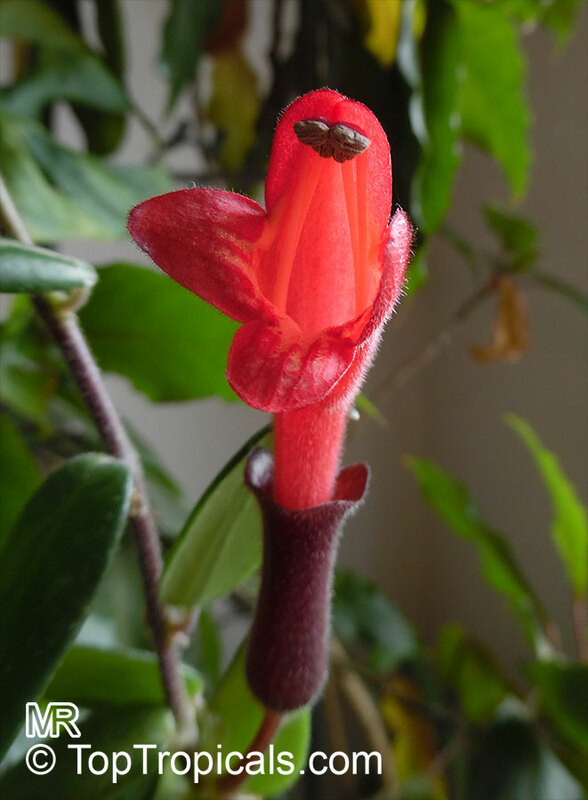 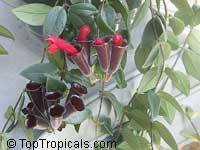 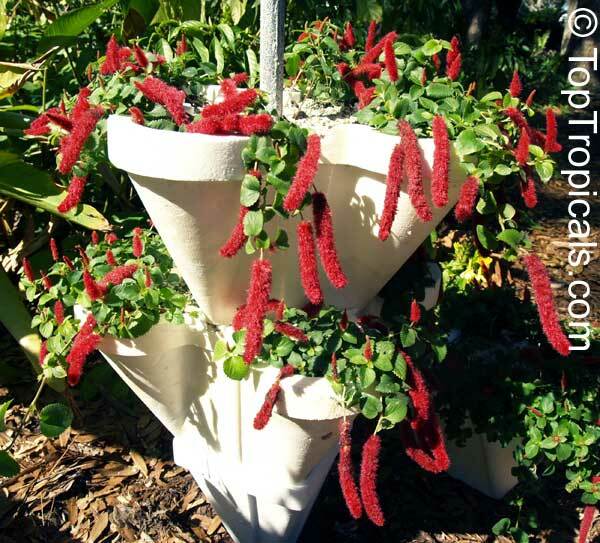 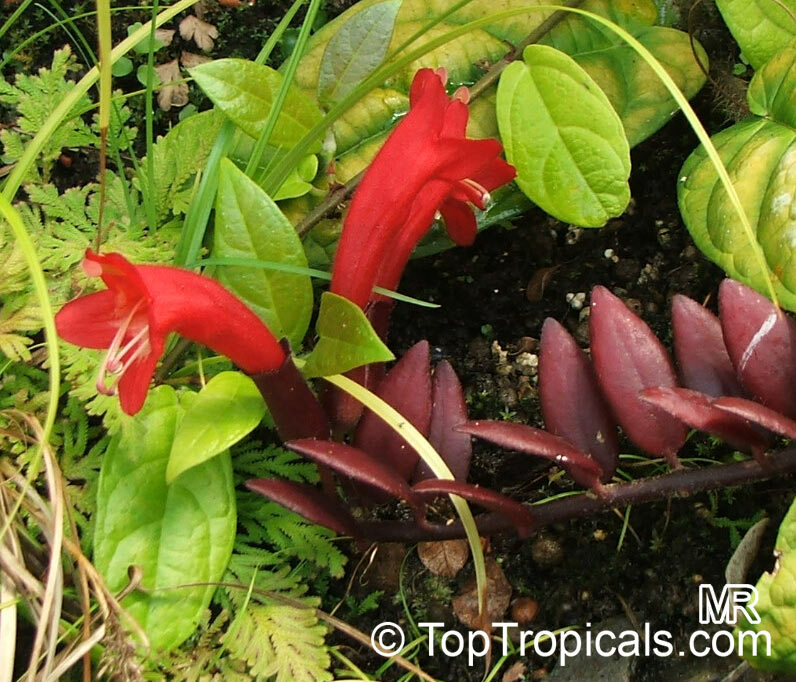 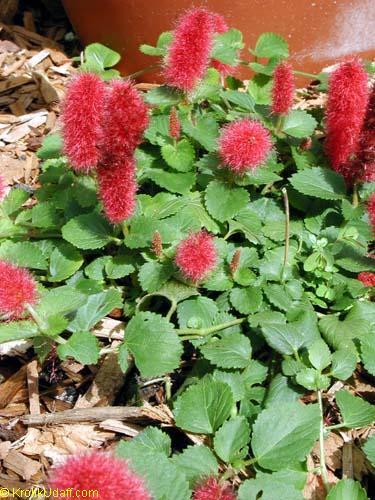 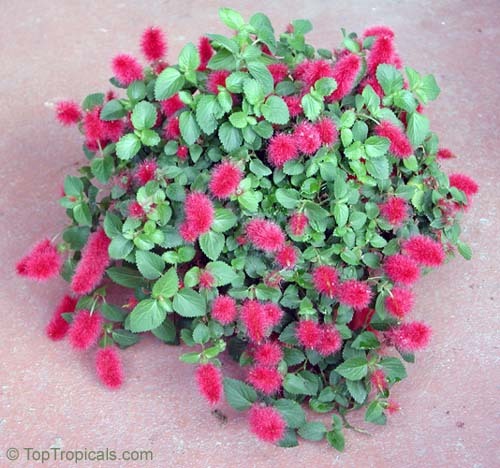 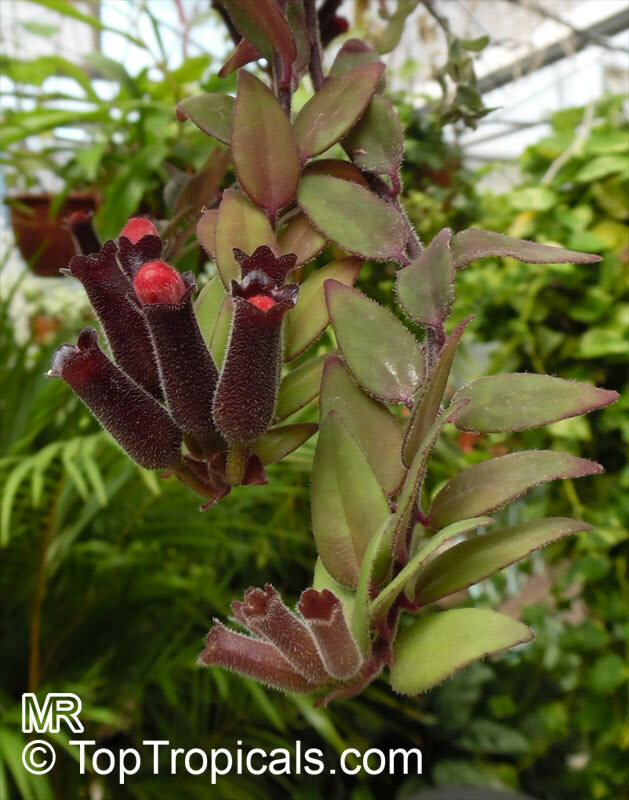 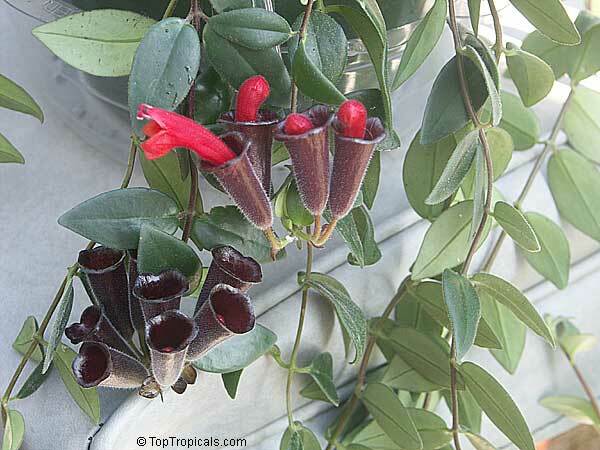 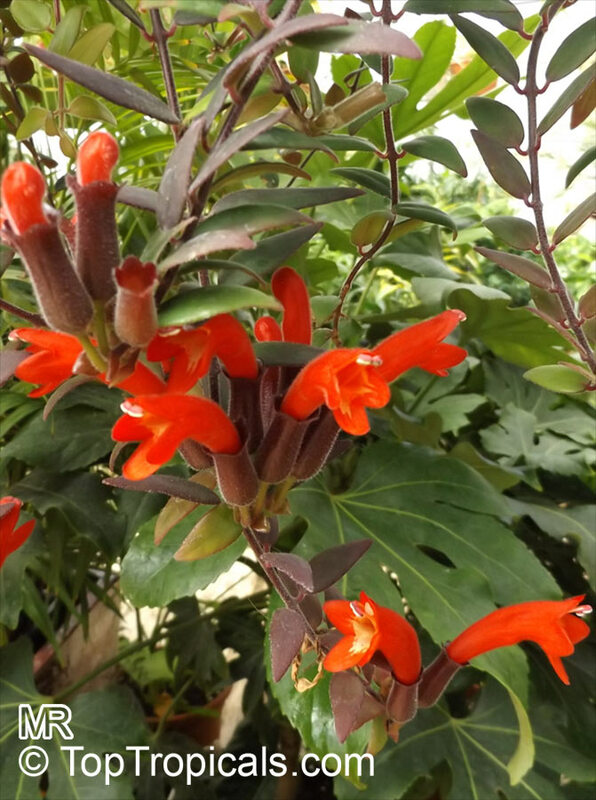 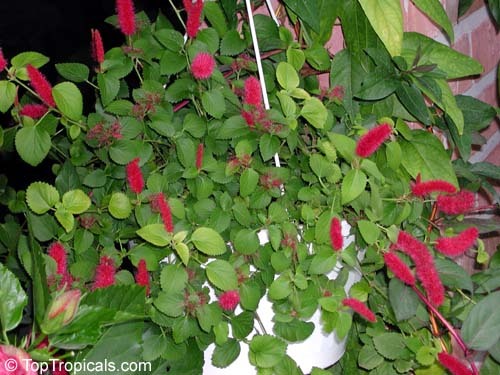 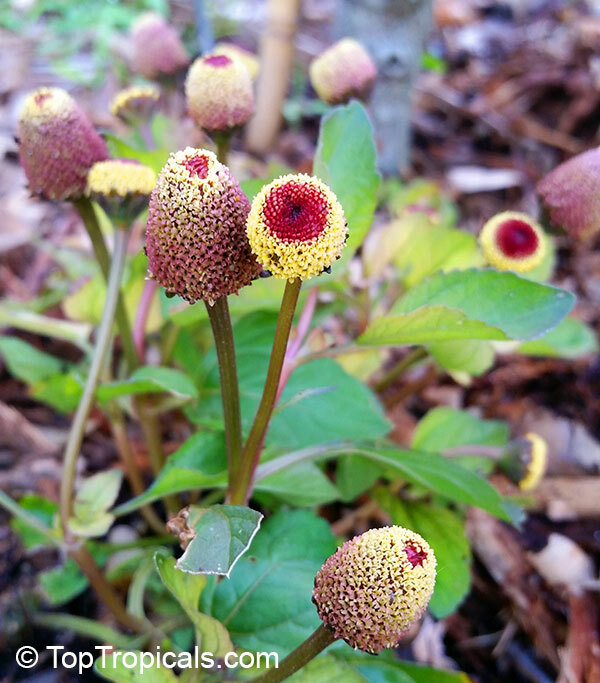 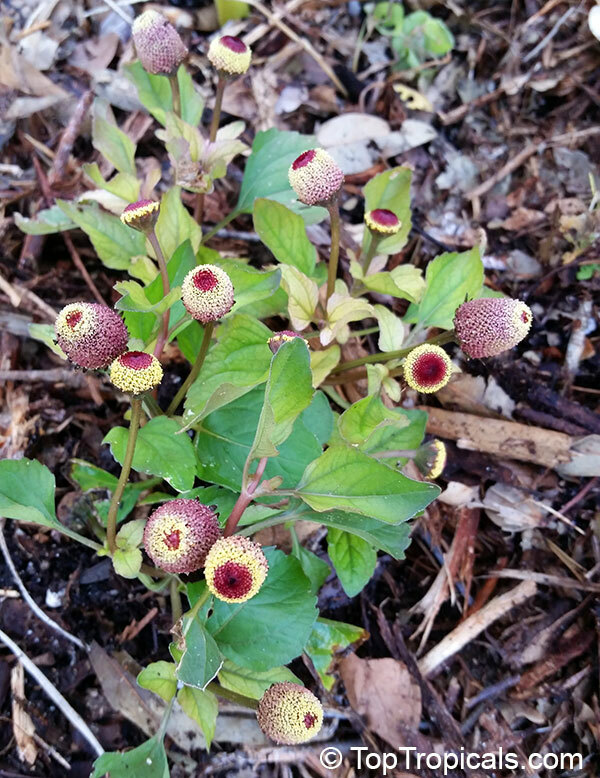 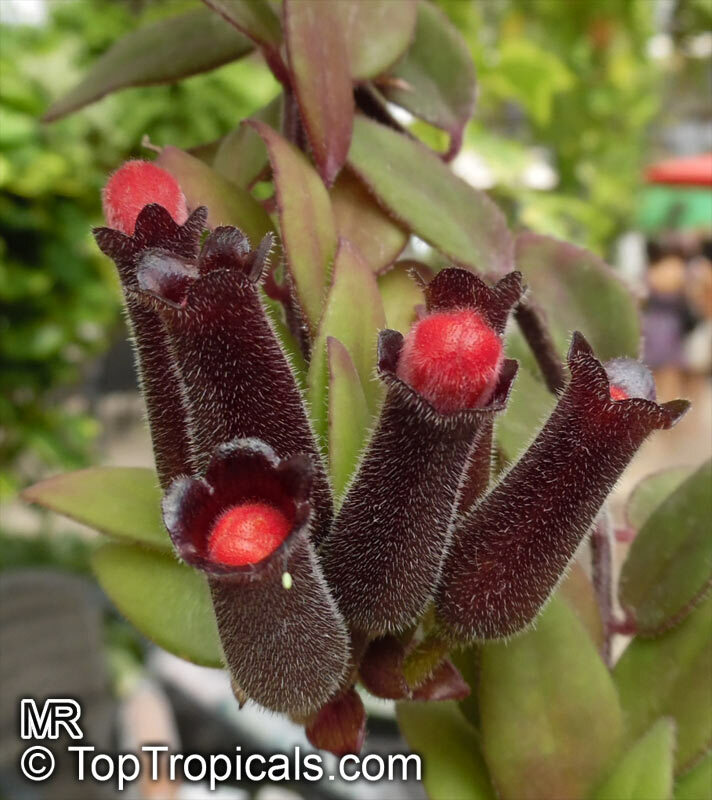 The original 'Lipstick Plant' has hard-surfaced shiny leaves, with bright red flowers that emerge from a very dark red tubular calyx, in a fashion reminiscent of lipstick emerging from a tube. 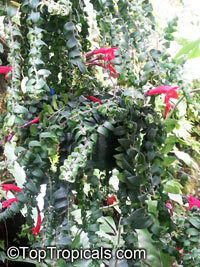 It is an epiphyte that grows in the angles of branches in the rain forest. 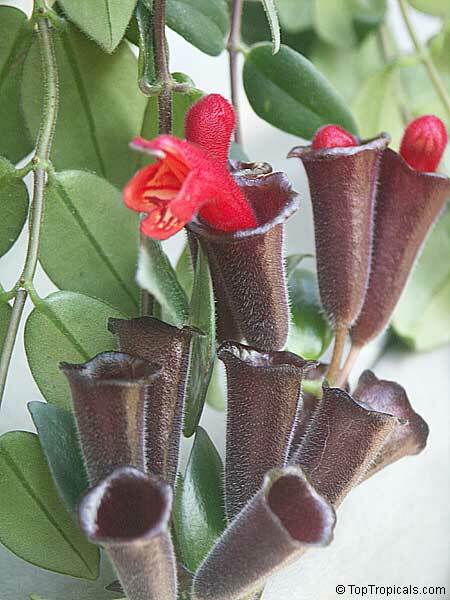 As with all epiphytes, the lipstick plant does not live as a parasite on the tree, but takes its nourishment from fallen leaves and twigs that accumulate in the crevices of branches. 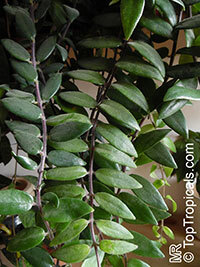 Needs plenty of light, but not direct sunlight. 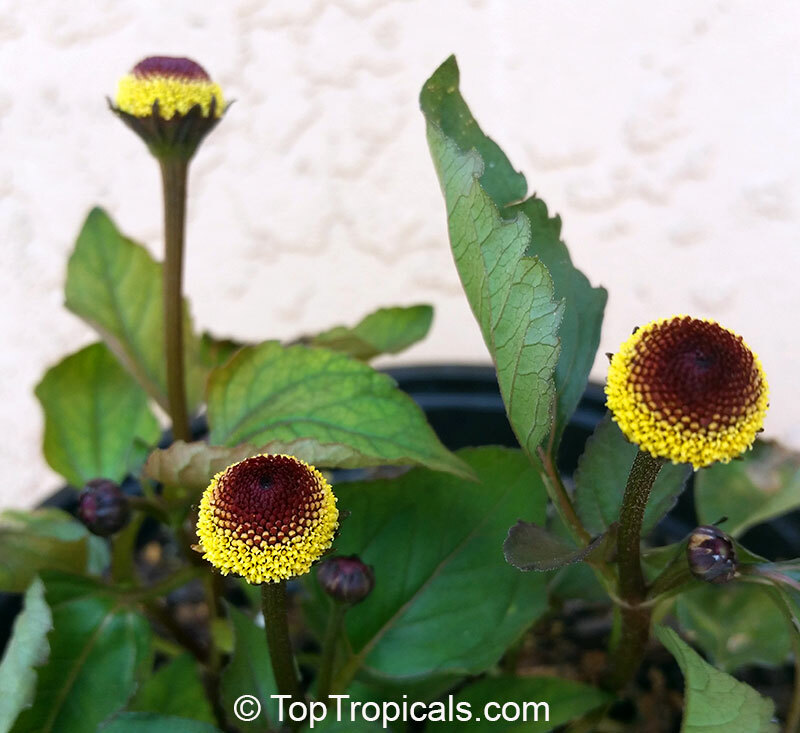 They thrive in summer heat, and winter temperatures should not drop below 60 degrees. 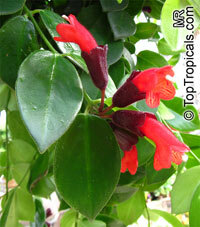 A very attractive flowering vine, that is mostly used in hanging pots. Water freely durning spring to fall, but keep the soil a little drier in the winter. 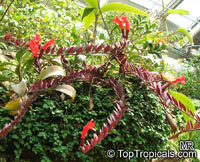 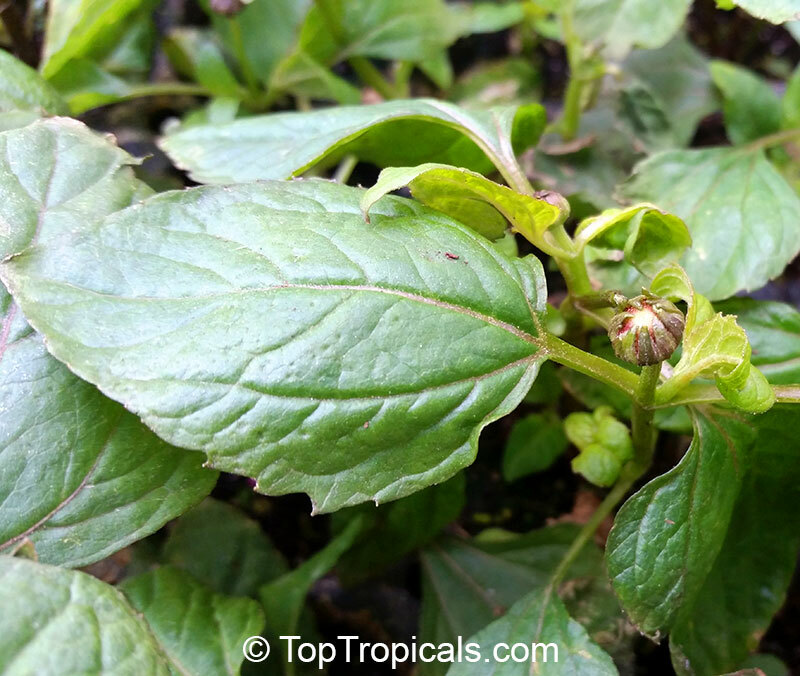 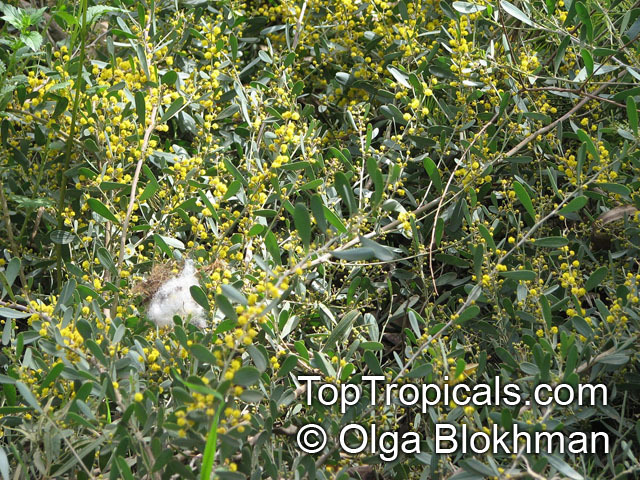 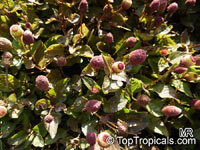 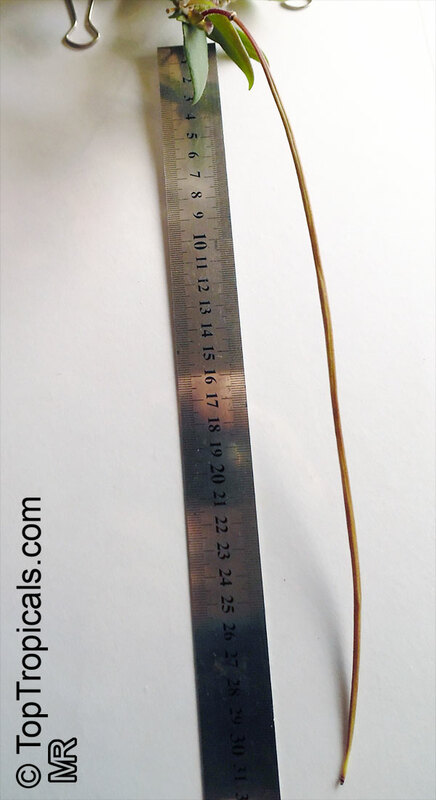 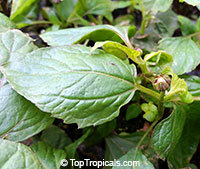 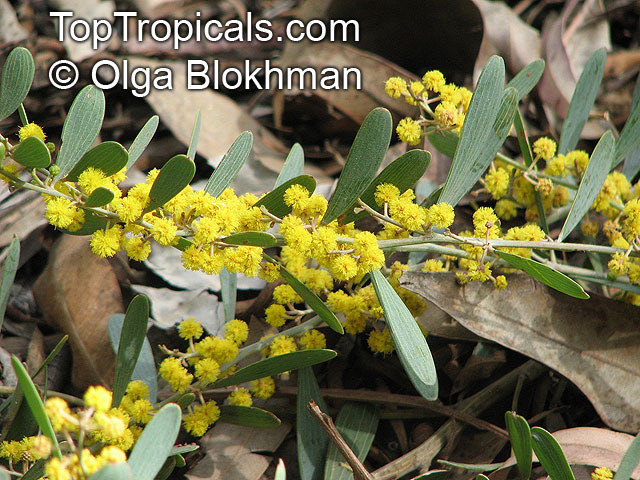 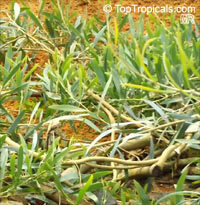 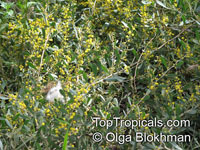 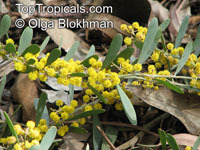 The trailing stems can be 2ft long, so they may need pruning after flowering has finished. 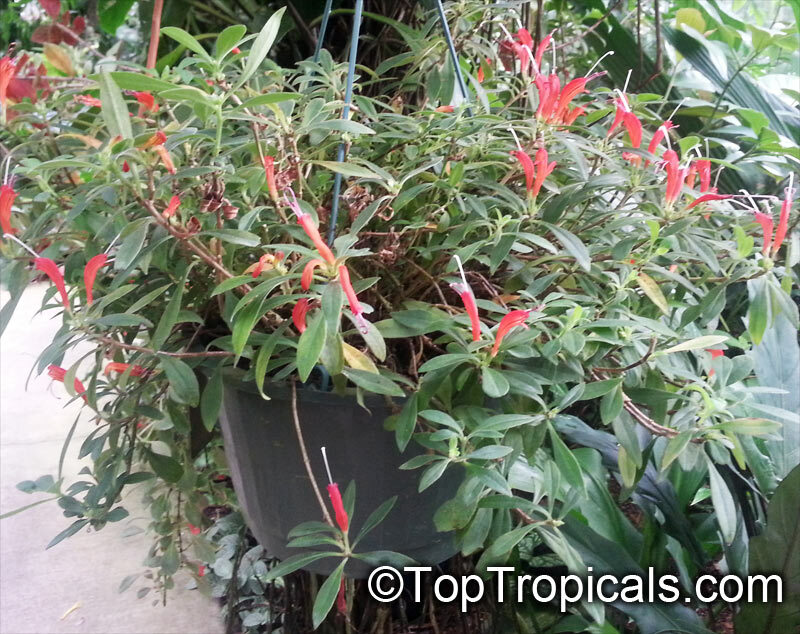 The plant tolerates most house temperatures. 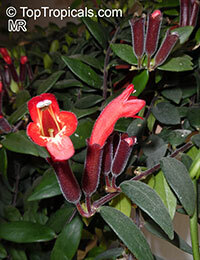 Ideal temperatures are 60 degrees at night but 10 to 15 degrees higher during the day. 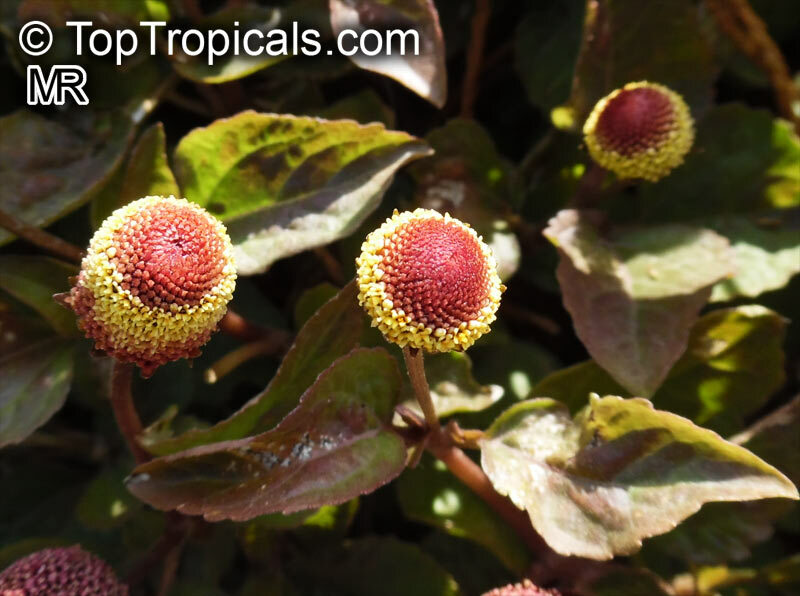 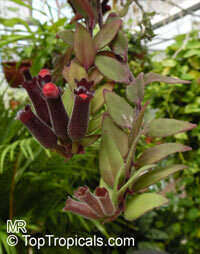 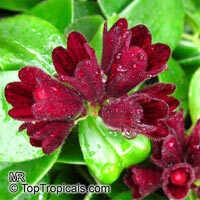 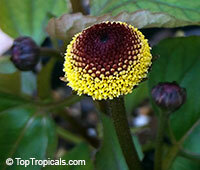 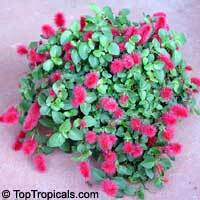 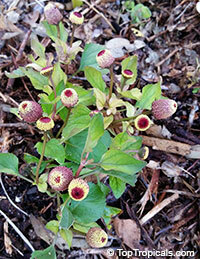 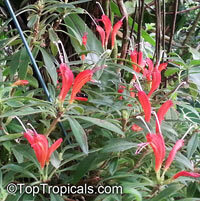 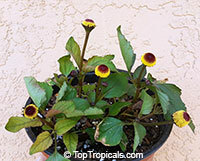 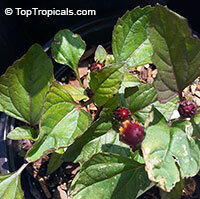 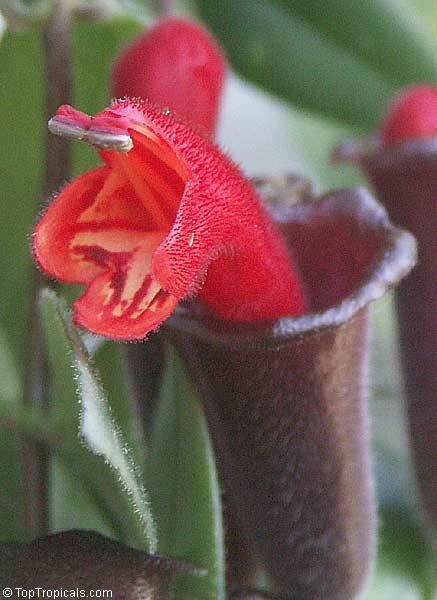 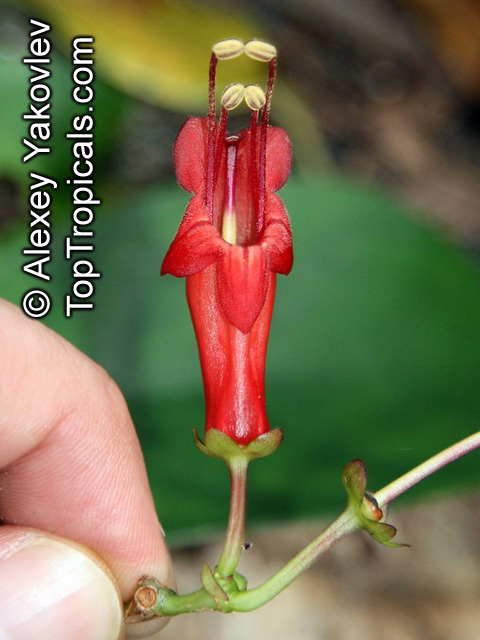 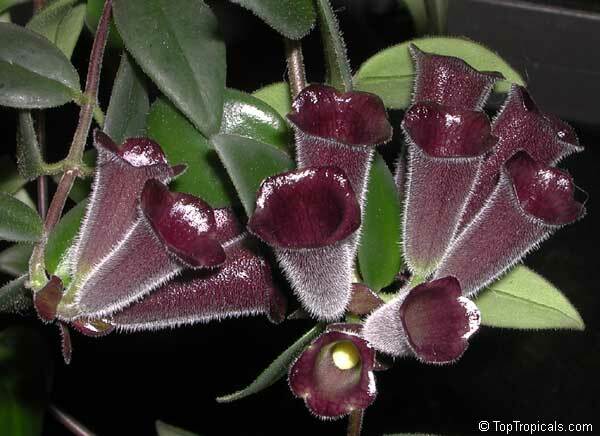 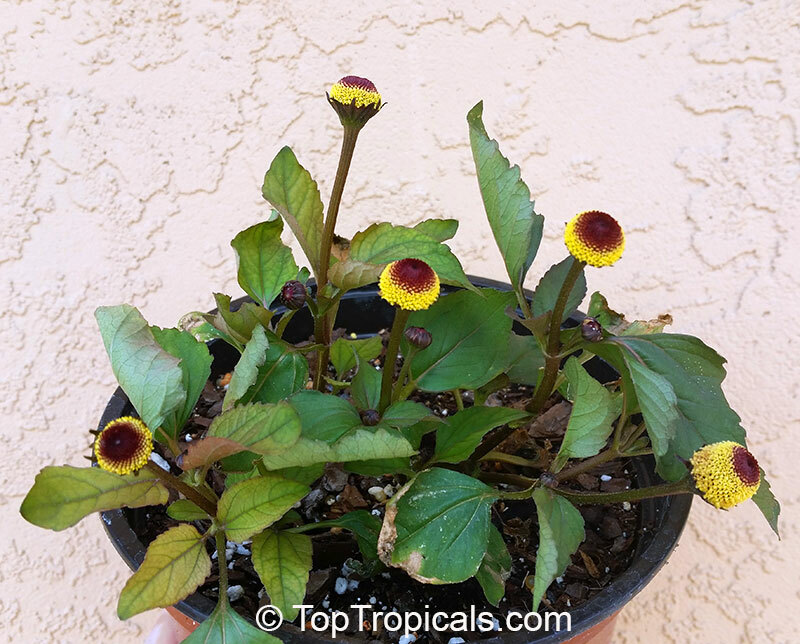 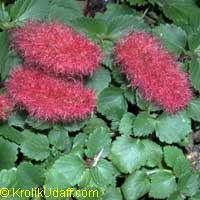 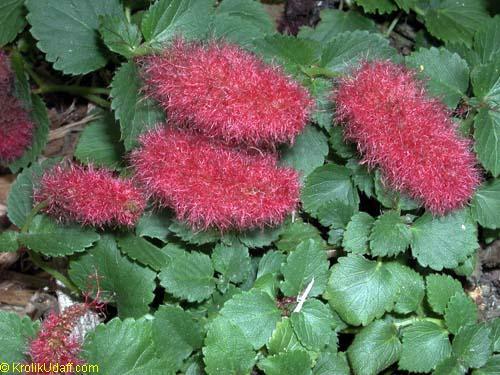 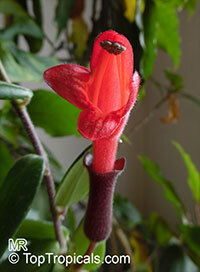 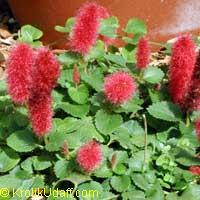 A. pulcher is one of the classic lipstick plants, and is similar to A. lobbianus -- except for the tan colored calyx.